welfare state | Utopia – you are standing in it! 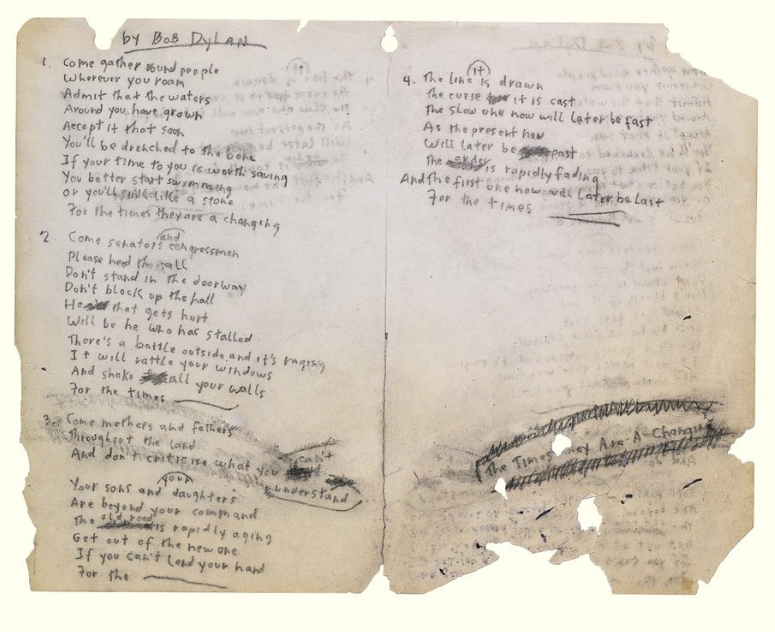 Down and out in America? This entry was posted in labour economics, labour supply, poverty and inequality, welfare reform and tagged social insurance, welfare state on June 9, 2018 by Jim Rose. This entry was posted in income redistribution, politics - USA, poverty and inequality and tagged social insurance, welfare state on March 26, 2018 by Jim Rose. What are the most progressive policies? Cutting bus fares! This entry was posted in applied welfare economics, poverty and inequality and tagged child poverty, family poverty, middle-class welfare, social insurance, welfare state on January 30, 2018 by Jim Rose. 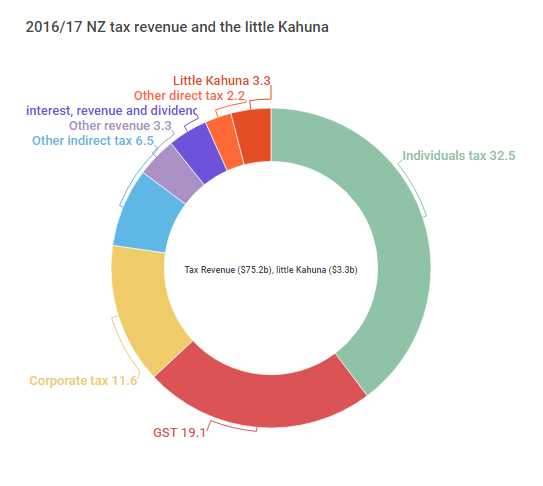 This entry was posted in fiscal policy, labour economics, politics - New Zealand, poverty and inequality, public economics and tagged social insurance, universal basic income, welfare state on March 7, 2017 by Jim Rose. 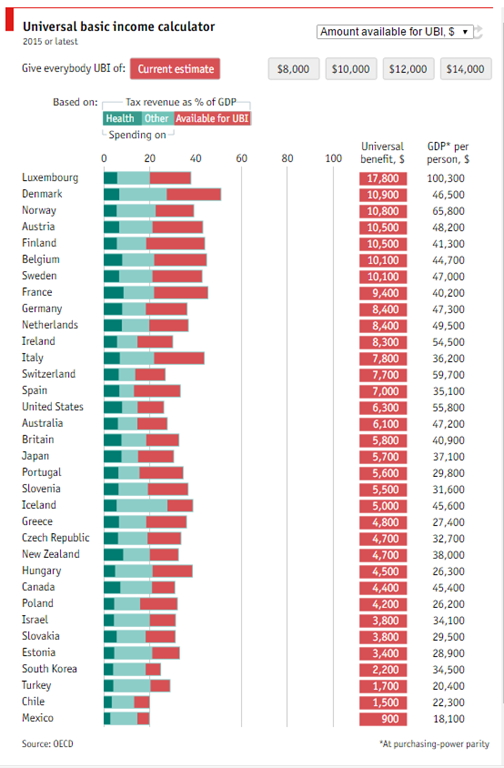 How big a UBI will abolishing the welfare state fund? 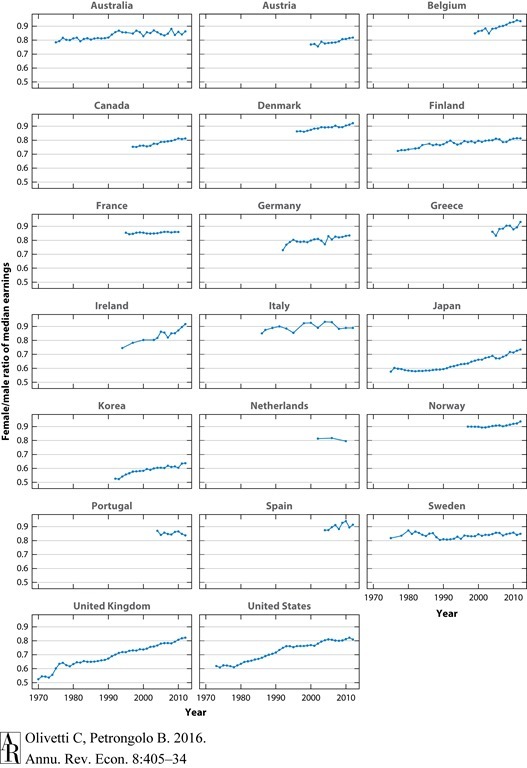 This entry was posted in applied welfare economics, comparative institutional analysis, economic history and tagged welfare state on December 21, 2016 by Jim Rose. I cherry picked data again by plotting it in full using the data labels and headings in the data tables at the original data source. I stand accused. Yep but official definition of homelessness incl all, not just living rough. In other words, you're cherry-picking. Ciao! Max Rashbrooke is the latest to spit the dummy when reminded that the Otago report on homelessness actually was about the seriously housing deprived; their words, not mine. UOW researcher Dr Kate Amore, from the Health Research Council-funded He Kainga Oranga/Housing and Health Research Programme, measured the “severely housing deprived” population. Table 2 below is from the media release Rashbrooke suggested I read to enlighten myself as to what homelessness is and is not. I am going to commit my third strike at cherry picking with snap-shots of the tables from the original source. I am a recidivist cherry picker. 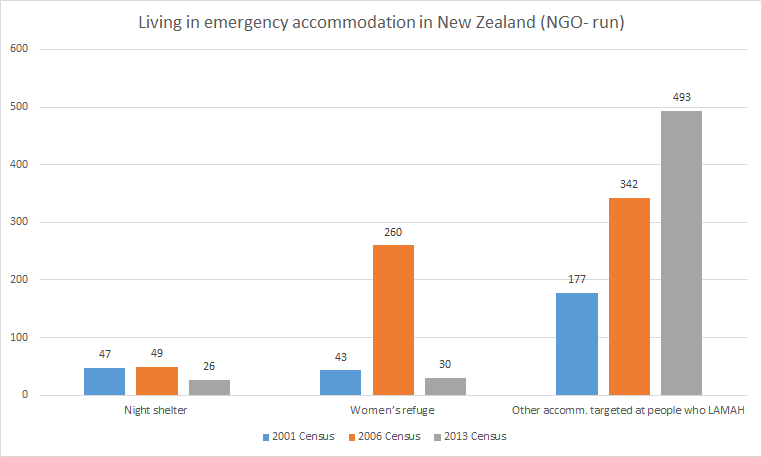 Source: 3 June 2016, Homelessness accelerates between censuses, News, University of Otago, New Zealand. Labour, the Greens and Max Rashbrooke all conflated living with friends and family or in commercial accommodation with homelessness. 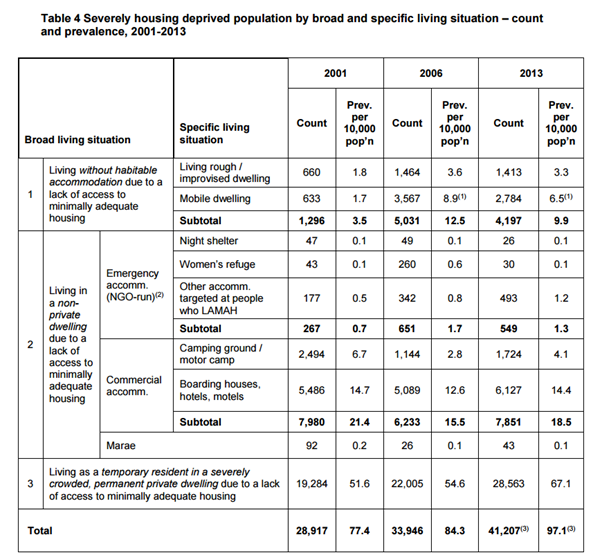 Saying that serious housing deprivation has gone up is not much of a sound bite compared to claiming homelessness is up with the associated images of people living rough or in cars. 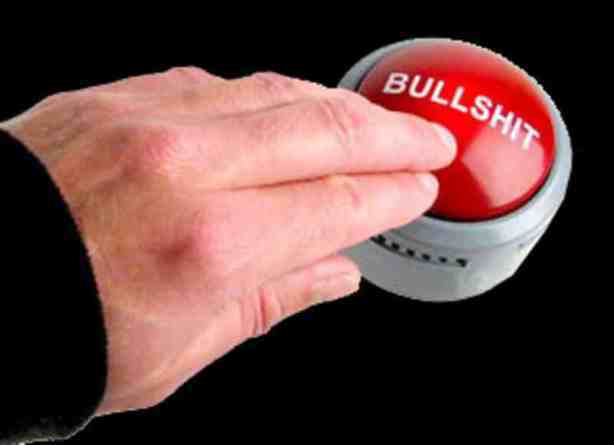 Who is spinning, who is cherry picking and who just can’t handle the truth? Homelessness has not increased under the National party government. Homelessness is defined as a living situation where people with no other options to acquire safe and secure housing are: without shelter, in temporary accommodation, sharing accommodation with a household, or living in uninhabitable housing. The Oxford dictionary definition of homeless is “ (Of a person) without a home, and therefore typically living on the streets”. Homelessness is different from those living in a hotel paid for by WINZ pending rehousing. Sleeping in the streets, in a car or living in emergency accommodation and waiting in a hotel for social housing are separate policy problems. 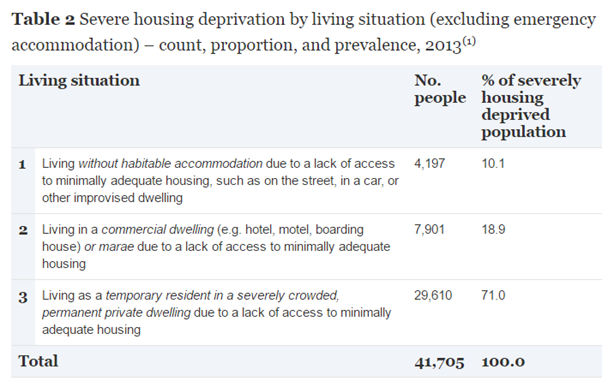 Source: Severe housing deprivation in Aotearoa/New Zealand 2001-2013 Kate Amore (2016). Some of the seriously housing deprived data from the Otago study show the system failing, such as sleeping rough or in a car. Other parts of the data shows the social safety net working when people are in a hotel or emergency accommodation pending a move to better quarters. Including in the same definition of homelessness someone who is sleeping in the street or in a car with someone who is in the queue for social housing but booked into a hotel insults those who are homeless. This spin mixes up situations where the social safety net has failed with situations where it is working to help those down on their luck but perhaps not to our full satisfaction. This entry was posted in labour economics, politics - New Zealand, poverty and inequality and tagged homelessness, social insurance, social safety net, welfare state on September 9, 2016 by Jim Rose. 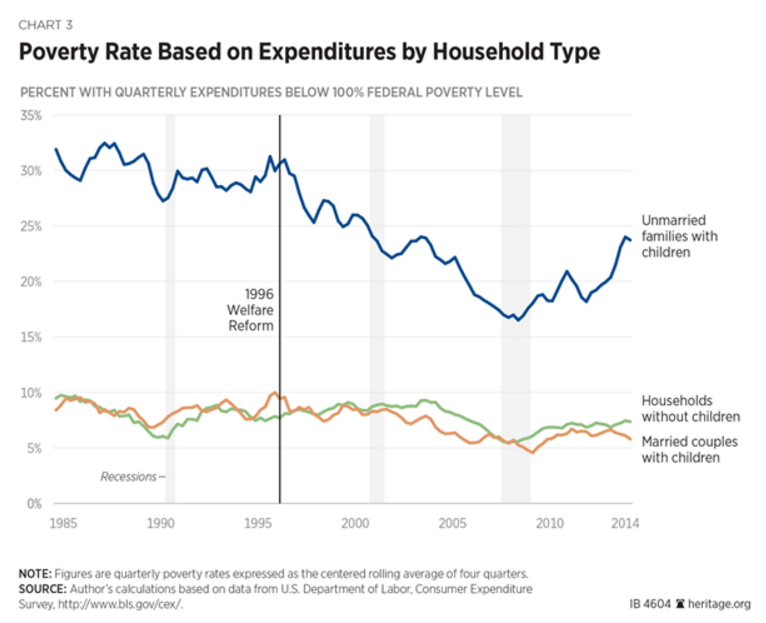 Source: Did Welfare Reform Increase Extreme Poverty in the United States? 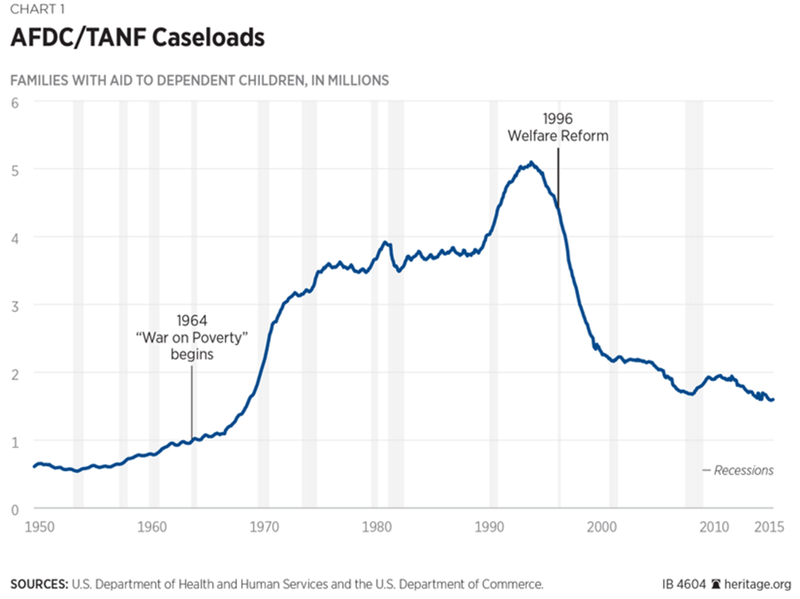 This entry was posted in applied welfare economics, economic history, labour economics, politics - USA, welfare reform and tagged 1996 US welfare reforms, child poverty, family poverty, single mothers, single parents, social insurance, welfare state on September 1, 2016 by Jim Rose. Source: 24 August 2016, Most homeless people working or studying, News, University of Otago, New Zealand, table 4. 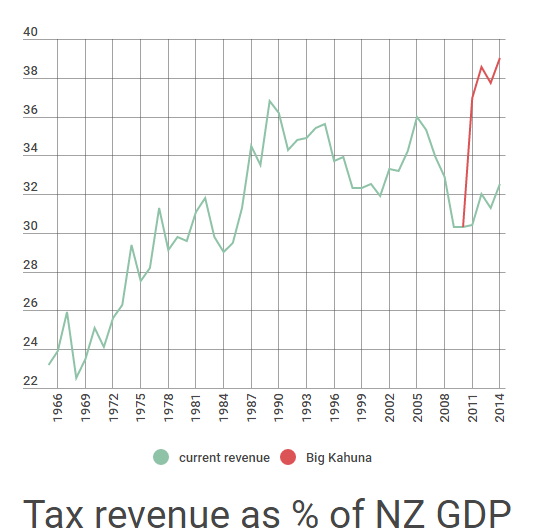 This entry was posted in labour economics, politics - New Zealand, poverty and inequality, urban economics and tagged homelessness, social insurance, social safety net, welfare state on August 31, 2016 by Jim Rose.